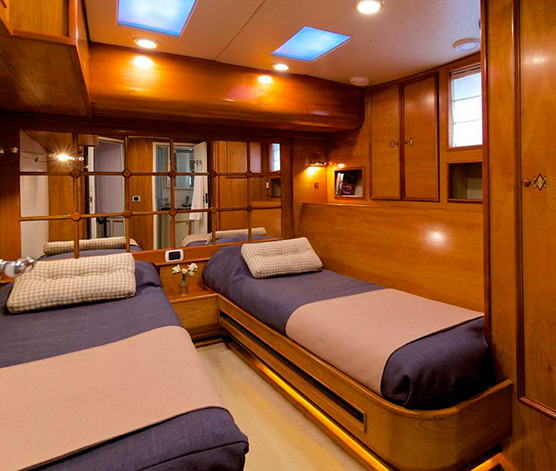 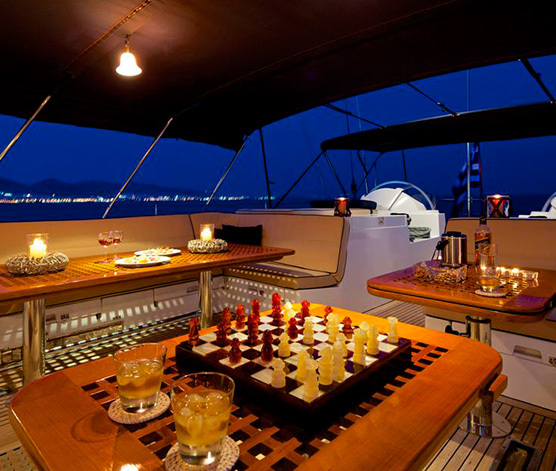 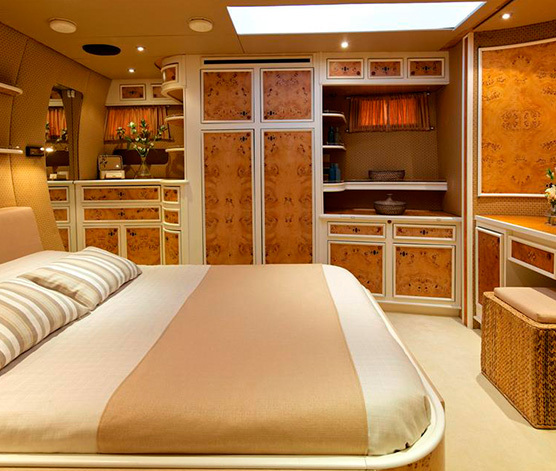 Luxury yacht Amadeus offers her guests the unusual feature for a yacht of her type of having a pool on deck. 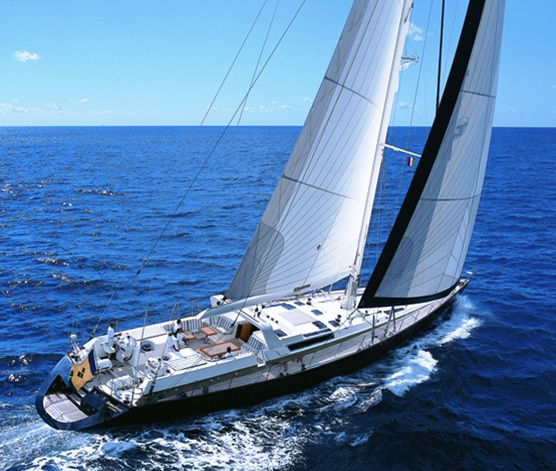 Coupled with the large aft swim platform, she is an excellent vessel for enjoying the water whether swimming or launching the watertoys. 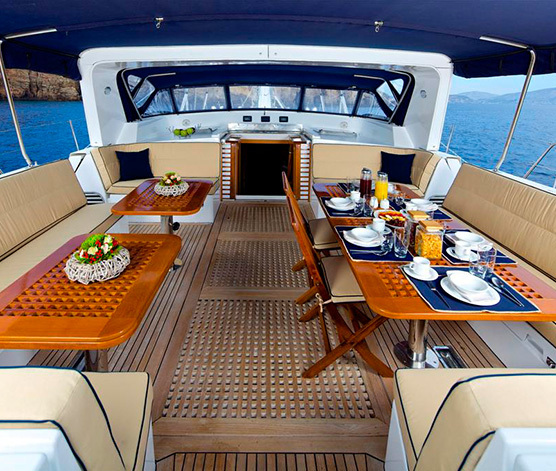 Forward of the cockpit sunworshippers can find cushioned sunpads perfect for leisurely days lounging on deck. 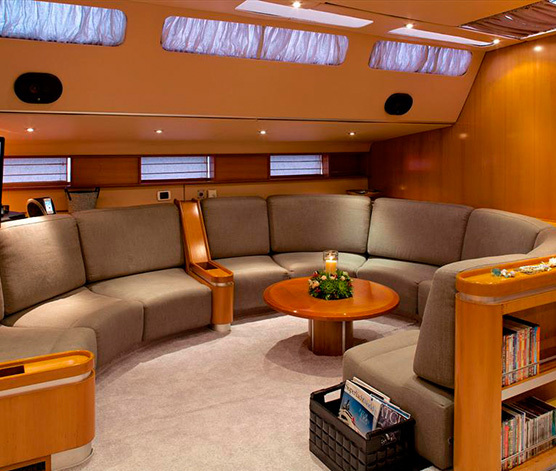 Below deck her entertainment centre is the main salon, which is well-equipped with modern audio/visual systems for onboard movie nights. 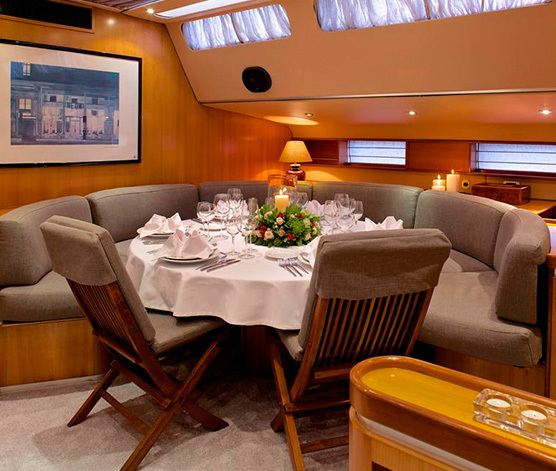 For formal dinners the full dining room is on hand while the aft deck is perfect for an al fresco meal under the stars. 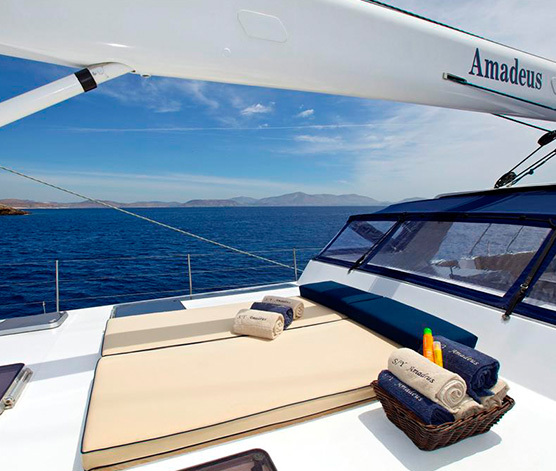 With a top speed of 11 knots, a cruising speed of 10 knots, and a professional and dedicated crew, Amadeus is a wonderful charter yacht for luxury vacations.